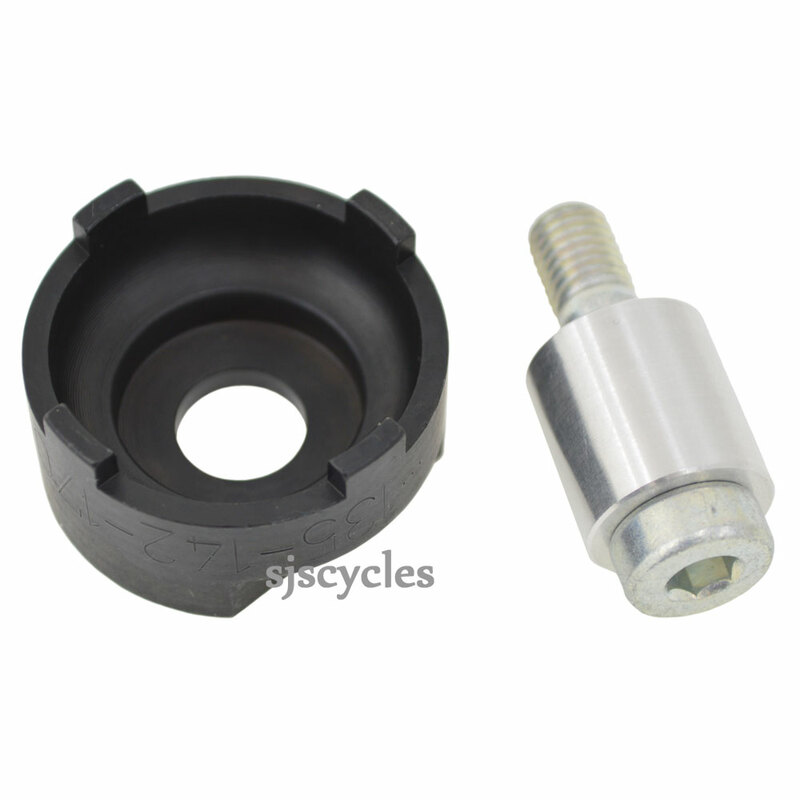 For Rohloff Speedhub 500/14 (135 / 142 / 170 / 177 mm). The sprocket of the Rohloff Speedhub 500/14 is secured to the gearbox over a six start thread. To remove the sprocket with a chain-whip, the driver must be firmly held in place. This is the job of the sprocket tool. It is placed over the driver, secured by a quick release lever (CC versions) or axle nut (TS versions) and can be held firmly in position with a 24mm wrench. Did the job OK but very expensive for what it is. What is the difference between the 8501 and the 8508? I thought that the tool I needed was the 8501, but the 8508 looks nearly identical. Are they different or interchangeable? Thank you for your enquiry, the 8501 & 8508 are the same tool however the 8508 option is supplied with an adapter for use with different axle lengths depending on your requirements. How do I find out which version of this tool I need? I note that you list 2 versions of this tool for different sizes of Rohloff. Where do I find the size of Rohloff, as it does not say it on the hub. I have had my hub since 2009 and I use quick release skewers. Please link to the tool I should buy. The sizes relate to the width of the OLN, or the gap between the frame dropouts. For the most part the product 41415 is suitable unless you have a very wide frame!